By British, he is referring to the flag on the top, moron. The origin of the car is not in question, more the taste of its finish. And agreed, a car fitting for the English red-necked gentleman. its not british and not american. 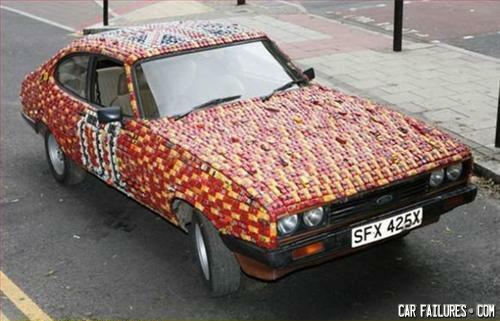 its a german built ford capri! "My god...it's full of cars"